摘要 治理理论兴起后不久就被引入中国,之后的几十年间,在我国发达地区,它的功能得到了详尽的考查和评估,在这一过程中,它也被快速转型和变化的中国逐渐形塑和本土化。它是否适用于经济社会发展水平较低的民族地区,成为一大辩题。争论和质疑的来源是我们对＂治理＂概念理解和诠释的差异,更来自我们看待治理理论的视角。从概念上回顾民族地区的＂治理＂,正视对民族地区治理理论的争议,从一个动态发展的视角看待治理理论是对民族地区进行治理研究和分析的基本前提。 The Governance theory has been introduced to China since it shortly rose,and its function had been investigated and evaluated in details in the developed areas of China for several decades. In this process,it has also been shaped and localized by the rapid transformed and changed China gradually. But it is still a controversial question whether it is suit to China＇s minority areas where it is in low level of economic and social development. 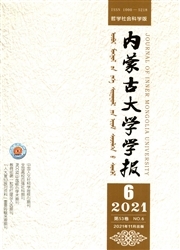 The controversy is from the difference of the understanding and interpretation in the concept of ＂ governance＂ and is also from the difference in the perspective of governance theory.Reviewing the concept of ＂ governance＂ of minority areas,facing to the controversy of governance theory,and looking at the concept of governance from a dynamic perspective is the basic premise for governance research and analysis of the minority areas.